As the years go by, technology develops, and industries evolve, we see more and more how getting products to market following certain printing traditions is simply not the best fit for every business--start-up, small, or global corporation. Business size and budget might not be the same, and yet companies fall into some similar trends of tight program budgets. Digital printing, be it with single or multi-color print options, increases accessibility to market, creating opportunities for lower volume label orders without discounting on design and material quality or ultimately, a business' branding. During WestPack Anaheim, SixB Labels will demonstrate multiple digital printing solutions with real-time samples available for Booth 5154 visitors to take away. Also at SixB, we are self-aware enough to know that Labels, Barcodes and Labeling Products are not the only goods one would be looking for. The WestPack trade show also features exhibitors in Food & Beverage Packaging; Design and Product Development; 3D Printing; Robotics and Automation; and Contract Manufacturing. If that weren't enough, your complimentary WestPack Expo badge [Use Code "SPECIALSIX" to register] also gives you access to four additional expos spanning Medtech; Smart Manufacturing; Plastics; and more Automation — all on one floor. While we hope to see you at WestPack Expo this year, here’s a helpful Checklist to get you ready for the show! Register For The Show — Visit registration site here and use code “SPECIALSIX” to receive your complimentary WestPack Expo pass and/or 20% off a conference pass! Schedule a 20-minute Consultation with the SixB Team — Make more use of your time during the WestPack trade show where you’ll have a dedicated time to talk about your product and goals. Click here to schedule your meeting! Bring Specs and Thoughts — to our Booth 5154 at WestPack Anaheim and get ahead of your next labeling project! 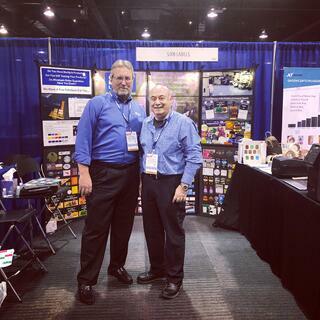 The SixB Labels team looks forward to connecting with you at WestPack Anaheim!